According to the CDC (Centers for Disease Control and Prevention), heart disease is the leading cause of death in most ethnicities in the United States. This includes whites, African Americans and Hispanics. One of the best ways to combat this dreaded condition is to control your cholesterol levels. And for that, our good cholesterol foods list below can help. As you probably know, there are two types of cholesterol. There’s the good cholesterol which we want more of. And the bad cholesterol which we should try to avoid. Both of these types make up our total cholesterol. In combination with trying to lower your bad cholesterol and total cholesterol levels, increasing your good cholesterol has been proven by research to lower our risk of heart disease and cardiac arrest. For anyone who wants to improve or keep their heart healthy, here are a few simple foods you can include in your diet that will help you significantly. Olive oil is one of the healthiest foods in the world. It is among the best choices for oil if you want to add healthy fat into your diet. In addition, it is also one of the most common foods that’s been shown to help lower cholesterol. Using olive oil in meals can lower LDL in the body, and raise HDL levels. This is because olive oil contains monounsaturated fat. This kind of fat, which is a healthy fat, has been shown to improve heart health. Olive oil is also a good source of vitamin E, which is an essential antioxidant. 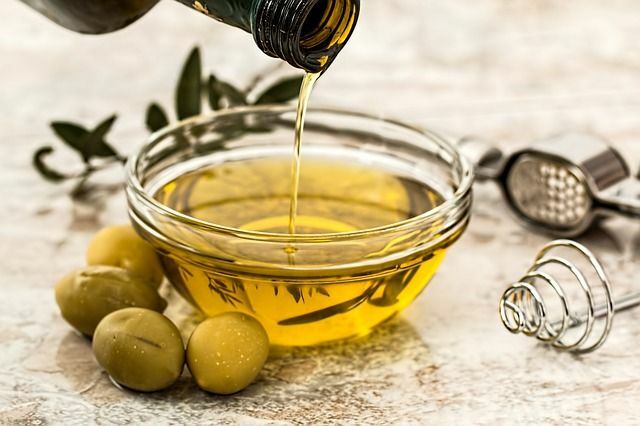 Making small changes in your cooking habits, like using olive oil instead of butter, can help you reap the benefits of better HDL cholesterol and reduced bad LDL cholesterol. 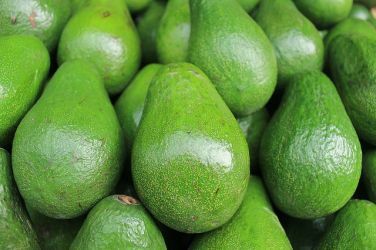 If you live in Los Angeles, you’ll be happy to know that avocados are heart healthy as well. Anyone who’s been to L.A. will quickly realize that if a restaurant can add avocados into a dish, they will. That’s why a lot of food in the city have this green ingredient. The good news is that they’re good for you. And, they’re delicious as well. Avocados boast many of the same benefits as olive oil. These include the ability to reduce LDL cholesterol levels which are also known as the bad cholesterol. Just like olive oil, avocados contain monounsaturated fat and vitamin E.
Avocados also contain 7 grams of fiber per 100 gram serving. Fiber promotes the excretion of cholesterol and bile acids. It does this by attaching themselves to these particles in our intestines. The excretion of bile acids has been proven to be one of the most effective ways to reduce cholesterol. Remember our moms always telling us to eat our vegetables. This is yet another reason why mommy knows best. Many high fiber vegetables such as black beans can help lower cholesterol. Black beans contain 16 grams of fiber per 100 gram serving. This makes them one of the highest fiber vegetables you can eat. The high fiber content in black beans helps to rid the body of harmful bile acids. In doing so, it helps lower cholesterol levels, and promotes overall heart health. Another heart healthy vegetable to keep in mind is spinach. Spinach contains very high amounts of lutein, which is found in most dark green leafy vegetables. Lutein helps lower cholesterol levels by preventing plaque build-up in our arteries. This nutrient also lowers harmful LDL levels as well. Along with lutein, spinach also contains high amounts of vitamin A, vitamin C, and iron. Other foods that contain high amounts of lutein include kale, turnips, and Swiss chard. Red wine has been shown to lower cholesterol because it contains resveratrol. Resveratrol is another type of antioxidant which protects the body in a number of ways. and reduces the chance of blood clots. It is important to remember to drink red wine in moderation when trying to lower cholesterol. Aim for no more than 5 ounces of red wine each day to begin reducing cholesterol. 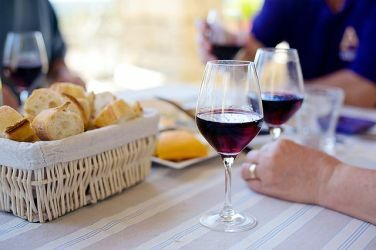 Drinking more than the one standard drink for women, and two drinks for men each day begins to negate the health benefits of red wine. You’ve probably heard of lycopene before. It’s what makes tomatoes red and is present in copious amounts in ketchup. Foods that contain lycopene have been shown to not only improve cholesterol levels, but also lower blood pressure and inflammation in the body. Lycopene is another antioxidant meaning it will not only lower LDL levels, but also provides the overall health benefits of antioxidants as well. Antioxidants work by fighting free radicals which work to destroy our body’s cells. Some foods that contain high amounts of lycopene include tomatoes, mangoes, and asparagus. Sun dried tomatoes in particular have higher amounts of lycopene than fresh tomatoes. High levels of lycopene can also be found in other tomato products such as tomato juice, sauce, and paste.